Colorado is an amazing state where you have one of the largest sections or the Arkansas River just in your back yard. So, why wouldn’t you take this advantage? 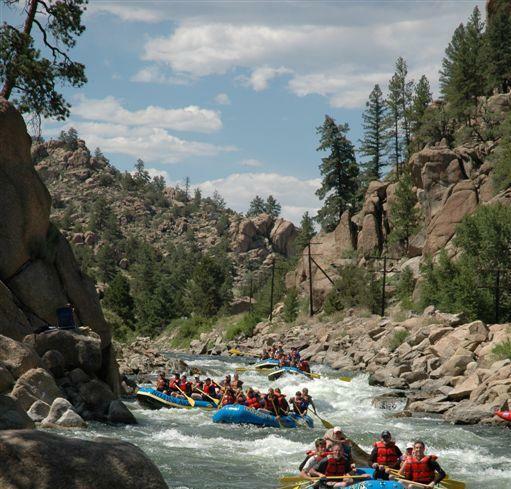 Browns Canyon is a stretch of the Arkansas River with over 15 different sections of rapids ranging from classes 2-3/4. Zoom Flume is one of the rapids on Browns Canyon. Zoom Flume is a class 3-4 rapid depending on the water level. If you need someone to go rafting, duckying, or kayaking with, I highly suggest one of the many local rafting or adventure companies. Zoom Flume is a rapid that can be challenging and test you, but in my opinion, is very worth it. Going down the rapid not only, can you see wildlife but also, many river landmarks that most guides know. Zoom Flume and the rest of Browns Canyon is an experience that everyone should have.